It was a day of smiles, laughter and tons of joy as ICMC stakeholders championed their annual Secret Santa Toy distribution initiative last month, delivering toys to over 140 preschoolers from their neighboring Head Start Program. With a well-organized pre-event system in place that involves placing the names of each child on miniature trees around various ICMC building locations, stakeholders then select names and purchase gifts for distribution by our delivery team. 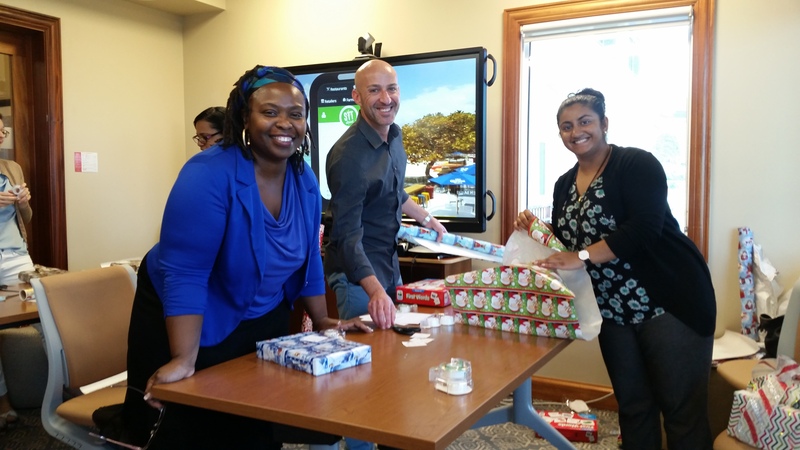 Gift wrapping is also another integral part of the initiative that many stakeholders look forward to each year. 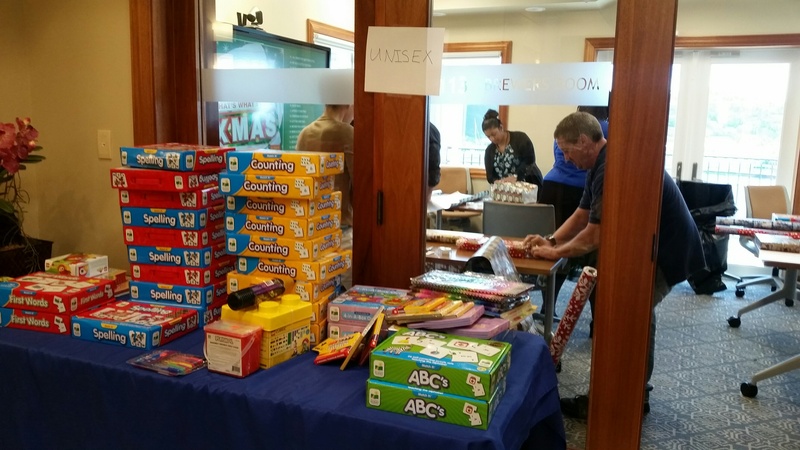 This year over 25 stakeholders gathered in ICMC’s Beltjen Building, rolled up their sleeves and carefully wrapped gifts for distribution to the back drop of holiday music, whilst enjoying the best of the season as well as the opportunity to connect with fellow stakeholders. 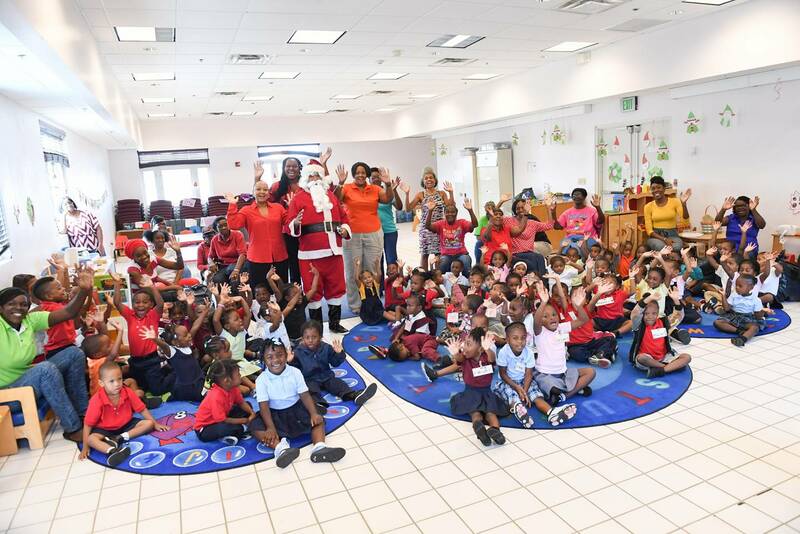 This year also came with its own unique set of challenges due to the recent hurricanes, such as a larger roster of children due to the housing of all St. Thomas Head Start students in one location as a result of hurricane damage to several Head Start classroom locations. The lack of toy supplies on island due to hurricane-related shipping challenges also proved to be a challenge this year, resulting in the team needing to rush an off island toy order that had to be creatively expedited via a stateside contact in time for delivery. To show their appreciation for the years of dedication and support that ICMC has shown to St. Thomas’ Head Start Program, Head Start surprised the distribution team with an appreciation gift basket and handmade holiday card that featured all of the many classes that had been gifted throughout the years. The Head Start program is the largest early childhood education program in the territory, servicing over 800 preschoolers. Head Start is nationally recognized as a foundation for children of low-income parents – providing them with medical and dental screenings, nutrition, education, mental health and social services. The program also partners with the Virgin Islands Department of Education’s Special Education Division to provide services to students with disabilities or special needs. For more information, please contact Karen Nelson-Hughes at hughesk@icmcvi.com or via phone at 340-777-1302.